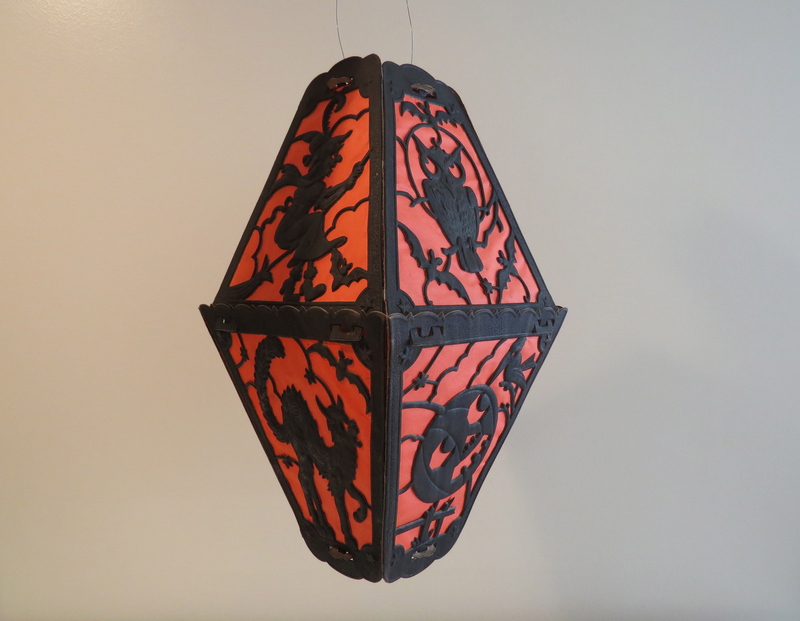 This rare, collapsable, heavily embossed eight-panel lantern was made in Germany in the 1920s. It has recurrent images of an owl surrounded by bats, as well as a broomed witch on the upper panels. The lower panels have recurrent images of a JOL with a crow, and an arched-back black cat. Measuring 16” h x 8.25” w, this is an imposing lantern due to its sheer size and detailing. This high-quality top-shelf example is in astonishingly pristine condition.